A great hairstylist is a girl’s best weapon–if you have the right one. If you don’t, they can be your worst nightmare. We all want to have one of those amazing experiences where our hairstylist gets us, the salon is cool, and our hair turns our fabulous. So how do you make that a reality? There are basically two types of salons in the world: commission salons and lease salons (also known as booth rental salons). Commission salons are generally big salons that attract clients to a consistent brand they have created. In Seattle we have Gene Juarez as an example. The benefit of this type of salon is the consistency in their message and culture. Typically the salon staff is trained consistently so they are all competent in the same techniques. Continuing education is a big part of this type of salon, meaning everyone stays current on trends, products and skills. In a lease salon the draw is usually the stylist over the brand of the establishment. Each stylist is renting their station from the salon owner and running their own business. The salon owner can set the aesthetic of the salon, but aside from that he/she has very little say over how each stylist runs things day-to-day. 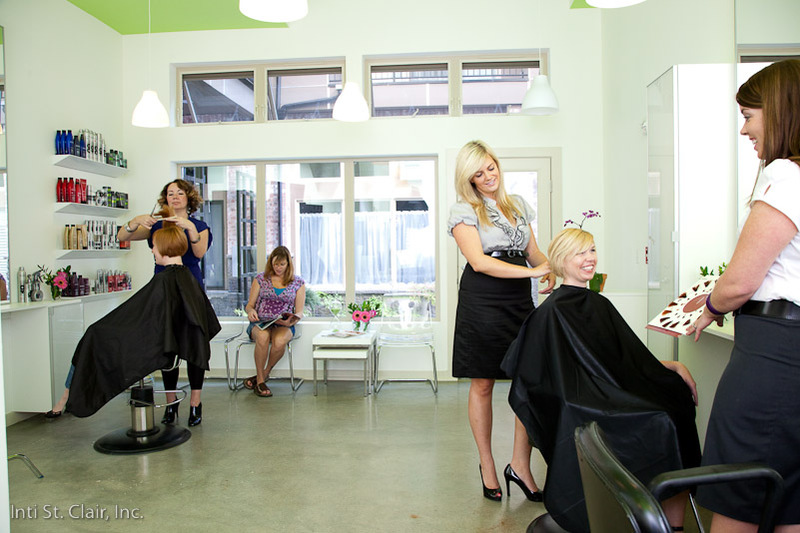 Skill set and techniques can vary throughout a lease salon because there is not as much emphasis on team education. Continuing education is at the discretion of the individual stylist. In this type of salon a stylist’s unique creativity can shine as they are not bound by performing set techniques that represent the “look” of a large branded commission salon. A great way to discover a talented stylist is to find hair you like and ask who did it. Every head of hair is a walking billboard for a hair stylist. Keep your eye out for hair that stands out to you and then ask “Who does your hair?” Everyone loves a good complement and will be happy to give credit where credit is due. Ask enough people and eventually you will hear the same name or salon mentioned. Additionally, many salons and stylists offer referral discounts. When you call to book your appointment mention the name of the person who referred you and see what happens! Go Online. 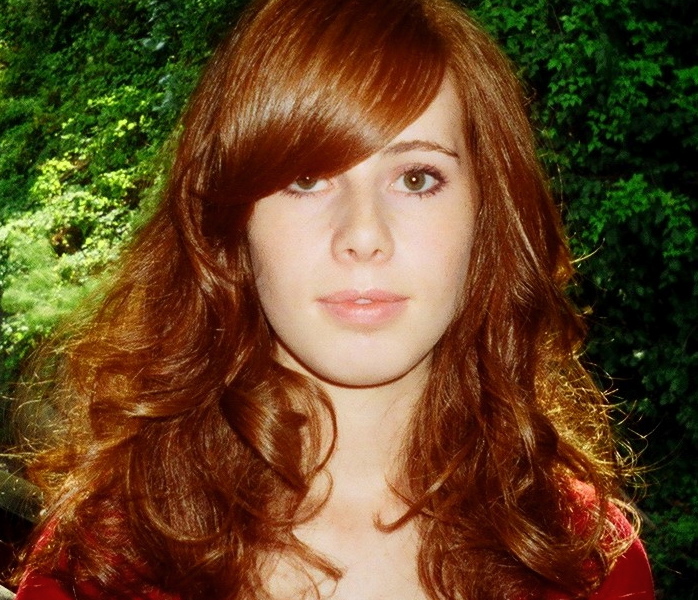 Websites like Yelp and CitySearch can be effective resources for finding your hair stylist. You can start a search with a specific neighborhood and then start reading reviews. Each salon or stylist’s Yelp page will also tell you details like hours, payment options and possibly images of their work. Look at Hair Brand websites. Do you have a favorite haircare line or color line? Go the manufacturer’s website. Many of them list salons or hair stylists who use their products. At Redken.com there is a “Salon Finder.” By typing in your zip code you will generate a list of salons and stylists using Redken products. You can also find Redken Certified Colorists and Designers who have taken the time to get tested and certified in their understanding of all facets of the brand. Ask the receptionist. If you have narrowed down your search to a specific salon, but not to a stylist, ask for the receptionists advice. Their job is to help direct you to a well matched hair guru. Let them know a little about what type of style you’re going for and they will point you in the right direction. For your first appointment with a new stylist I always say less is more. Book a 15 – 20 minute consultation before committing your locks to a service. It’s like a coffee date before diving into a full-blown dinner date. You will have the opportunity to get the vibe of the salon and the stylist making sure they are a fit for you. For this first appointment, do a little homework to ensure you come prepared. Bring pictures of hair you like as well as pictures you don’t like. Whether they are pictures of you or images from magazines or online, it’s a great way to help communicate what you are looking for. Words alone are open to wide interpretation. If you say you want to be red, there is a wide range of reds to choose from. But when you bring in a picture of the color you are after, you can effectively show exactly what you want. Keep in mind, from a hair stylist’s perspective, we can’t make you look like Jennifer Aniston. We can use her look as our inspiration for you and personalize it to your hair type and lifestyle. Be sure to discuss cost and time investment. How much time do you want to spend in the salon? What is comfortable for your beauty budget? Your hair stylist should be able to give you an accurate price for service for your first appointment and future appointments. If your dream look is starting to sound too time consuming and pricey, don’t be afraid to ask for some other options that fit your budget. Also, ask how often your potential stylist attends continuing education. Believe it or not, I know many hair stylists who haven’t taken one class since they stepped out of cosmetology school. The science of hair continues to advance, product options improve, and techniques evolve. If a stylist isn’t offering you the most current options, you could be cheating your hair of beautiful, healthy end results. Some states require continuing education for stylists and others, like Washington state, do not. I feel that every good hair stylist should attend at least one class a year. Hands-on classes where attendees actually perform new skills and product knowledge classes are the most valuable. Lastly, inquire about the stylists’ availability. What days is the stylist in the salon? How far out do they normally book? These factors can greatly influence your ability to sit in their chair. Can you get in on short notice or will you need to schedule weeks out for your appointment? Are they in the salon on days and hours that fit your availability? It’s great if you feel like you connect during the consultation, but if your stylist isn’t available when you are it can create an ongoing challenge. By covering all of these bases, at the end of your consultation you will have a good idea if this is the hair stylist for you. If it’s right, book your appointment and put your trust in their suggestions and creative approach. Someone recently asked me what my favorite type of cut is. My response is, I love a variety of cuts when my salon guest trusts my vision and professional opinion to give them what they are asking for. My most difficult cuts are those where a guest is second guessing my approach and changing their initial expectations midway through the process. By doing a little work up front, you are going to have an amazing experience that will lead to a lifelong relationship. Why Steak Won’t Repair Your Hair – Healthy Hair: Do you have it? Healthy hair, do you have it? Want it? Not sure how to get it? For those on the quest of nurturing your tresses, it’s important to understand what healthy hair has that damaged hair doesn’t. I certainly can’t repair my car engine if I’m not even sure what’s supposed to be under the hood to begin with. When hair is damaged, it is missing one or more of these components in some manner. Protein is the number one key to healthy hair. This is what bonds together to form hair fiber. Damaged hair has broken protein bonds causing your hair to be fragile, lack shine and cause color fadage. Protein comes in many forms and some are more effective than others to repair hair. I mean, in theory steak is a protein, but I’m certainly not going to expect that to sit on my hair and repair it. Just like cell phones, science has been able to make proteins smaller and smaller over the years. The smaller the protein the more effectively it can be delivered to the cortex, or center, of the hair strand giving it strength. Have you ever sat under a salon dryer with a treatment on your hair? That is the equivalent of a brick shaped cell phone–old school. Now protein can be delivered at the shampoo bowl in about five minutes and last much longer than a heated mask treatment. Obviously hair needs moisture. Lipids coat and protect the hair from outside aggressors. They are also what give the hair reflect. When hair is lacking or needing these components, it becomes fragile and dull. When repairing hair it is important to know when to add these components, particularly if repair is needed during a color service. Protein should always be added before color. Remember, it’s proteins that reinforce the hair fiber and give the color molecules something in which to embed. On the other hand, moisture and lipids should be applied after a color service. If applied before, they will make it hard for the color molecules to embed themselves in the hair strand. Applied after a service they will encourage color longevity by sealing the color in and giving the hair a reflective finish. Damaged hair comes from two sources: mechanical and chemical. Mechanical damage comes from everyday styling, brushing, flat ironing, and curling. Chemical damage comes from, well, chemicals. Treatments such as color, highlighting, perms, and straightening all create chemical damage. Mechanical damage can cause the cuticle to be raised or melted, dry and weakened. Hair that is chemically damaged includes the effects of mechanical damage on a deeper level including excessively weakened protein bonds. Want to test your hair to see if it’s damaged. It’s easy! Gently pull a strand of hair from your head and place it in a glass of water. If it floats, congratulations! You have healthy hair! If it sinks it means your hair is weakened and damaged. Time to see your stylist for a treatment. Protein and moisture, in many forms, are options available for repair. At Fix Salon we depend on Redken’s Chemistry System to repair our clients’ hair. This is a professional salon treatment system that works in under 10 minutes. A stylist can create a personalized mix based on your needs. The results of the treatment last longer and are more effective than home treatments because it has the ability to penetrate deep into the cortex of the hair strand rather than simply coating the surface. If your hair could use a healthy boost, we’ve got the fix for you.